Scroll through your social media home feed these days and you’re likely to see many “doom and gloom” posts about politics and everyday events. For some reason, it’s just hard to find positive news whether it’s on social media or even in the local paper. 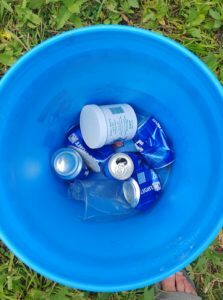 Over the weekend of July 21st, the Lee’s Summit Area Fishing Facebook group, a community of avid anglers, banded together and created a much needed reprieve from the negativity. In late February 2018, the “Lee’s Summit Area Fishing” FB group was created to bring attention to local fishing opportunities in the area. The group started with the goal of providing updated fishing reports on a daily basis. To Hays’ surprise, the group took off quickly and within a few months has already reached over 1,300 members. 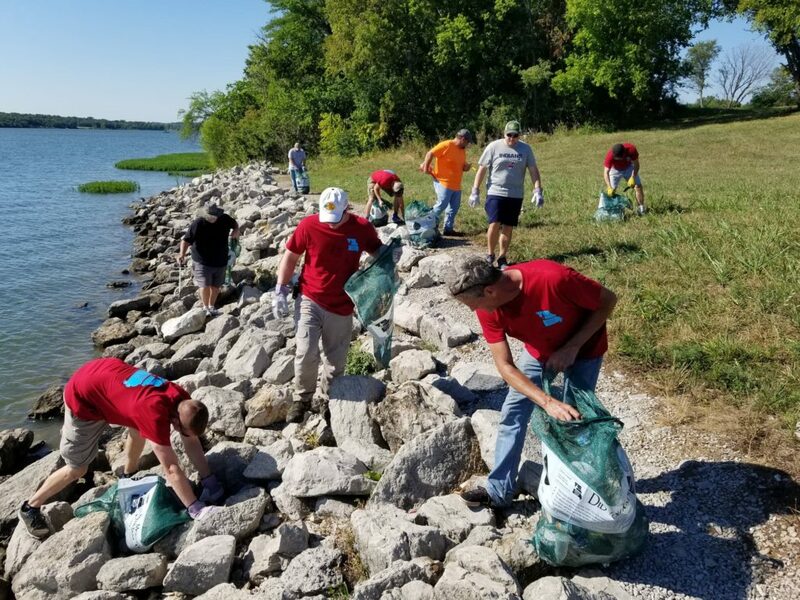 As membership grew, many posts came in each day about the fishing, but also about the unfortunate amount of litter that was present at local fishing areas like Longview Lake, Lake Jacomo, James A. Reed Conservation Area and more. 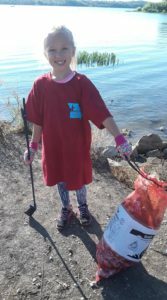 Kevin Cox, a member of the Lee’s Summit Area Fishing Facebook group, mentioned that even his seven-year-old daughter recognized the trash issue around Longview when he took her out there to fish from the bank. When a seven-year-old notices the sad amount of trash present, it’s evident something must be done to combat the problem. Luckily, some group members knew about an organization called MO Stream Team, a non-profit partly funded by the Conservation Federation of Missouri, which helps manage various teams of people across Missouri waters with activities like trash pick-ups, water quality monitoring, tree planting, and much more. After contacting MO Stream Team, the Lee’s Summit Area Fishing group was able to set up their very own team – the LSAF Stream Team. MO Stream Team provided trash bags, gloves, and other items necessary free of charge. After some organizing, the group was ready for their first event, a trash pick up at Longview Lake on July 21st. Just under 20 members met at the Longview Marina parking lot ready to start cleaning up the area. They focused their efforts around heavily fished areas like the marina, the dam, and the lake’s spillway. 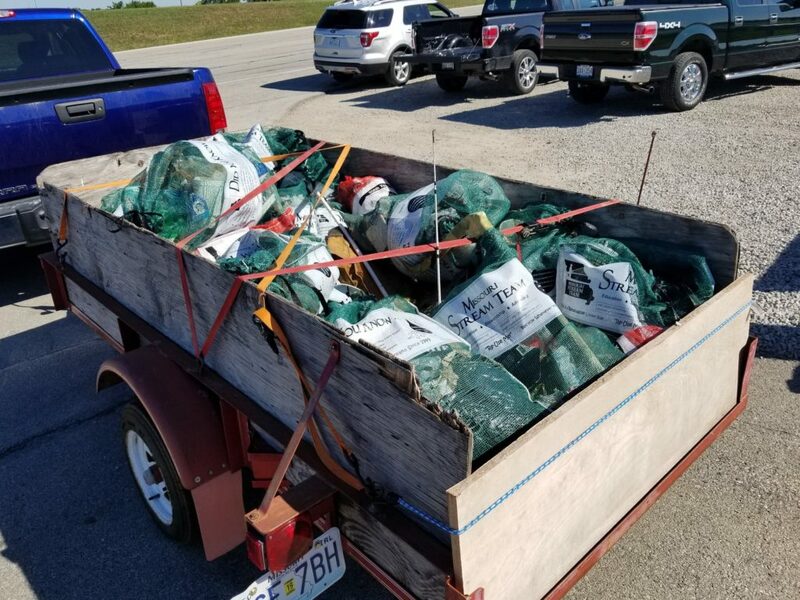 In just over two hours, the team members had picked up 42 bags of trash that filled an entire trailer. The weight of the trash bags was estimated to be over several hundred pounds. While it isn’t a permanent fix to the problem, the group is confident their ongoing efforts will make a positive difference while simultaneously raising awareness of the issue. With all the negative posts on social media, the Lee’s Summit Area Fishing Facebook group was happy to bring a positive news story to the local community, and plans on many more to come. Fishing, Lee's Summit, Lee's Summit Area Fishing, Mahoney Outdoors, MO Stream Team, trash pick up, Tyler Mahoney. Bookmark.